Previous SCT student launches her memoir last week at East London bookshop. 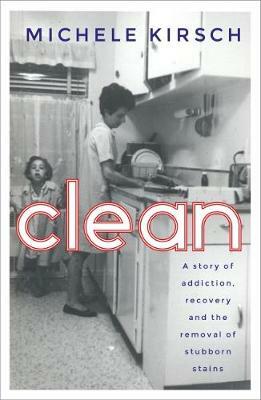 Michele Kirsch introduced her book, ‘Clean’, last Thursday night to a room full of family, friends and fans at Stoke Newington Bookshop. A former student of SCT’s Training and Development Centre, Michele tells the story of her struggle with addiction, recovery and her work as a cleaner. Michele joined SCT in 2012, after finishing rehab in Bournemouth. She had returned to Hackney to continue her recovery and be closer to her children. “At that point, I had been so awful to my children they were all like, No, we can’t see you today. How about never? Does never work for you?” Michele explained. “They were really upset with me and I was broken, so I was lucky that I found SCT. I felt SCT would be a place that would give some structure to my still rather chaotic and broken life. It did that, and more. Soon Michele made friends, received the support she needed, enrolled in a re-education programme and even put together an entire magazine for SCT’s 50th Birthday. Through SCT, she also went to catering college and volunteered at our social enterprise, Paper & Cup. “Once I started volunteering at Paper & Cup I had more of a purpose. It was my aim to learn how to make a leaf with foamed milk. I can still do that but only on a good day and only with full fat milk. I made friends there and it was a fantastic atmosphere,” said Michele. She moved onto paid work and worked at The Trew Era café – a non-profit café opened by comedian and activist, Russell Brand. One of her jobs was cleaning East End houses and buildings – which included SCT at one point. During her early morning cleans at SCT, she had long chats with a member of staff about the direction her life was taking. “It was typical of what SCT did so well. Really important conversations would arise from everyday, mundane activities. They just happened gently and naturally,” said Michele. After blogging about her cleaning jobs and sharing them on social media, Michele was approached by a literary agent, who helped develop her work for the next two years. Following a few ups and downs, Michele was able to publish her book with independent publishers, Short Books. You can find Michele’s book at Stoke Newington Bookshop, Waterstones and Amazon.